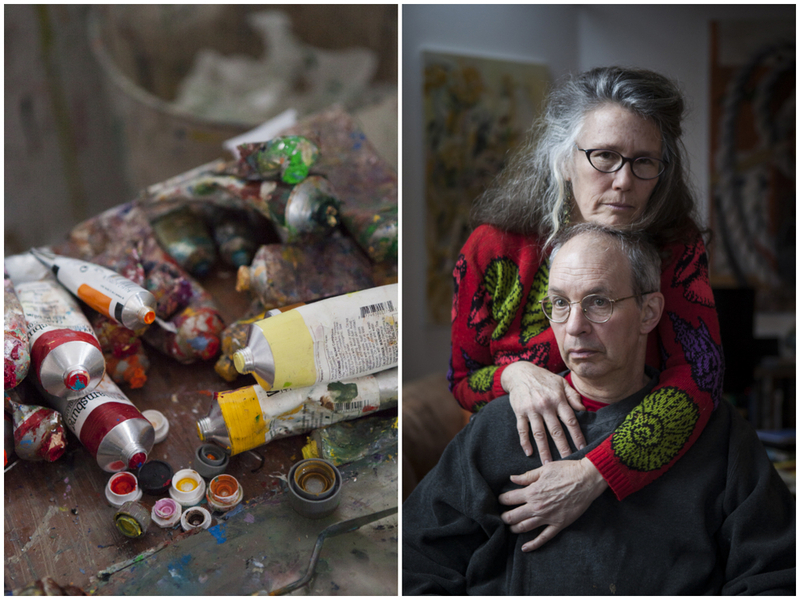 In late winter, I photographed artists Jon Imber and Jill Hoy. In 2012, Jon was diagnosed with ALS, a progressive disease that affects the muscles that control the body: including movement and speech. Throughout his diagnosis, he painted with leg and hand braces and an assistant, to creating complex and vibrant portraits. He continued to paint until just days before he passed away in April. It was an honor to photograph Imber, to witness Imber and his wife Jill Hoy painting side-by-side, and to see the way they loved one another. It is something I will never forget. Read Lisa Belisle’s article about them here.